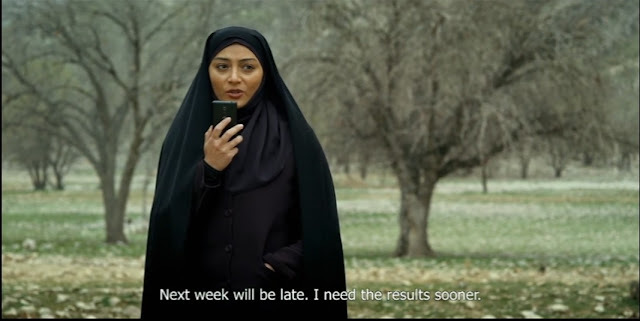 "Mermaid" has quite a story behind its eventual release, since Amir Masoud Aqhababeian struggled with censorship for years, particularly due to the denial of the Oil Ministry of the previous government to allow the screening of the film. Even with the change in leadership though, Aghababeian had to cut a number of scenes in order to be allowed to screen it. Younes is the survivor of a diving team in the Iran-Iraq war, who lives beside the Persian Gulf. As he decides to set a statue in the gulf as a memorial for his fallen comrades, he comes across the pollution of the area, due to the practices of oil companies, and dedicates himself to that cause. Eventually, he manages to collect some samples proving the pollution, and tries to give them to chemical labs, in order to have a case in court. In his efforts, Maryam, a single mother who has been at the same cause for years, and a police officer, assist him. However, he soon finds himself part of a game much more dangerous than he anticipated, as public corruption that reaches to higher echelons is revealed and a number of enemies emerge that are willing to go to any extreme in order to stop him. Using the environmental pollution and the concept of the former soldiers as his base, Aghababeian directs a film that functions as an agonizing thriller and a cry for help at the same time. However, at times I felt that the different elements of the film (the PTSD veteran, the documentary aspects of the pollution appearing in the beginnin, and the corruption) do not coexist, but are separate from each other, particularly the first aspect. Additionally, there are some scenes that function as a documentary, mostly in the beginning of the movie and the underwater shots, which, again, are not as connected with the main theme of the movie, which is formed by the couple trying to get away from their enemies and achieve their goal. Add to all that some action scenes, a bit of romance, and some elements of (melo)drama and you have the backbone of "Mermaid". The cinematography of the film on the other hand is truly accomplished, with Mohammad Rasooli managing to portray both the natural beauties and the handmade blights of the area, in impressive fashion, in a number of different locations, including underwater shots by Behzad Torkizadeh, which are among the visual highlights of the production. Aghababeian's own editing implements a quite fast pace, which at times, seems somewhat rushed, as he was trying to fit a plethora of themes in the 70 minutes of the film. This however, may be a result of the many cut scenes. 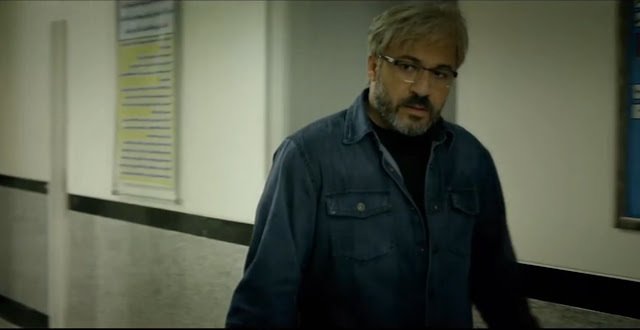 Amir Agaee puts a nice performance as Younes, a man who seems to struggle with every aspect of his life, with no way out, with his loneliness and PTSD being quite evident in his behaviour. Pantea Mehdinia plays the damsel-in-distress role of Maryam fittingly, although at times, her performance seems a bit excessive, particularly in her outbursts. "Mermaid" has some issues with its narrative, as Aghababeian seems unsure of what he wanted to do with the film. However, the artistry is there, as is the basis of a film that could have been great without the censorship, with a bigger budget that would allow him to lengthen the film in order to incorporate all the elements he wanted, more smoothly, and by him making some stricter choices about the path he wanted to follow.